The 2017 World Table Tennis Championships kicked off this week and will be concluding the 5th of June. Reigning Chinese champions, Fan Zhendong, Ma Long , Xu Xin, Zhang Jike, Chen Meng, Ding Ning and Li Xiaoxia will be returning to represent China at this year’s World Table Tennis Championship. Ma Long is currently the world’s top seed and he claimed the Men’s title last year. If he manages to secure a second title, he will be following in the much-lauded footsteps of his teammate Zhang Jike. This fellow Chinese player won the Table Tennis championships in 2011 and 2013. Jun Mizutani from Japan looks set to face off against Xin Xu. The two have had a past rivalry when Xu lost the Olympic Bronze medal to a surgical Mizutani at the 2016 Games. Jun will be returning to the 2017 World Table Tennis Championships hoping to improve on his Men’s silver medal from last year. Women’s top seeded player. Ding Ming, will be outdoing the men if all goes well this year. 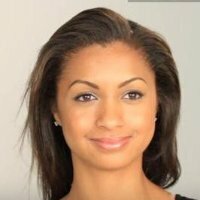 She is gunning for her third gold medal at the Table Tennis World Championships. Her biggest challenge, at least mentally, lies with Japanese seed, Miu Hirano who a few days ago defeated Ding at the Asian Table Tennis Championships. India is bringing a strong challenge to this year’s Table Tennis Championships after they pushed through to the quarter finals at the Asian Games thanks to Table Tennis star, Sharat Kamal, ranked number 53 in the world. The Indian team have prepared with an intensive training camp from celebrated Table Tennis star, Soumyadeep Roy and Coach Massimo Constantini. The Indian team includes Soumyajit Ghosh, Harmett Desai along with the female standout members Madhurika Patkar, the Indian national champion and Mouma Das as well as the newest team member Ayhika Mukherjee. The team have been in Dusseldorf since the 11th adjusting to the atmospheric conditions. They will want to make up for their poor performance at the World Table Tennis Championships in previous years. Most recently a hip injury for Sharat Kamal dashed the team’s hopes of a placing in the 2015 quarter finals. Fans from over 120 countries will be following all the action this week as we head to the finals on the 5th of June. 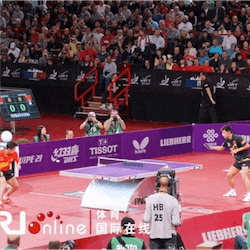 World Table Tennis Championships Celebrate ITTF Milestone With two years to wait between every Table Tennis World Championships, Australia’s sports betting fans won’t want to miss the 2017 Liebherr World …. 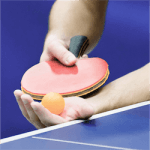 World Table Tennis Championships Features 613 Athletes The individual World Table Tennis Championships take place only every second year, with the team tournament in alternate years. So Australia’s small but …. 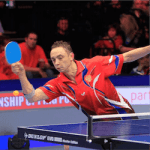 Table Tennis Championships’ Dublin Qualifiers this Weekend Australia’s passion for sports covers a huge range, and the dedicated table tennis fans are looking forward to the biennial ITTF World Table …. World Table Tennis Championships Start in May Table tennis is definitely a minority sport in Australia, where we tend to reserve our greatest enthusiasm for more rugged outdoor pursuits. The ….